The Extreme Psychiatrists lead the formal teaching (Visual Lectures) and support the Actors and Peer Facilitators in group work. All are full time psychiatrists and share a passion for people and teaching. They try very hard to be decent bods. Although all are exceptionally good looking, this is not part of the entry criteria, and is actually thought to be a result of working for extended periods in Extreme Psychiatry. Psychiatry: Breaking the ICE – Introductions, Common Tasks & Emergencies for Trainees (for CT1-3s, GP trainees and FY1-2 doctors). She has loved Phillip Schofield since she was five. Frankie qualified from Nottingham in 2009, and spent the first two years there before moving sideways to Sheffield for Core Medical Training. After taking a convoluted route through London to Oxford and back again, she found her fame and fortune in the dizzy heights of the hospitals of South East London as a psychiatry trainee. ‘It’s never Dull in Hull’ however Sophie left her Northern home town to go to Uni and do her Foundation Years in East Anglia. Yearning for more adventure she then left for Australia, originally for a year but typically ended up staying for two. She returned to the bright lights of London to train in Psychiatry and loves it although she misses Aussie BBQ’s, diving and a summer that is actually warm! http://www.jerismithready.com/quiz, apparently associated with the power of foretelling the future through dreams. She always thought psychiatry was the bee’s knees, which she channeled via an art foundation course at Chelsea College and degree in philosophy and psychology at Oxford, before succumbing to the joys of Medicine during the King’s College London four year graduate-entry course. She loves travelling, going to the cinema and book clubs. Plan B career: Bollywood extra. Millie was brought up in a sleepy city with a grand total of 1 nightclub on the south coast so rebelled to the hustle and bustle of London for University and training. She’s now a proud Peckham resident and psychiatry enthusiast. Main loves are travelling the world in the pursuit of delicious (and sometimes challenging) food and reading embarrassingly trashy novels. Born and raised in North London, Shivani studied Medicine at Oxford where she failed to learn how to punt. She did however learn that Psychiatry is brilliant and after her foundation training moved to the FABULOUS south to start her training at SLaM. In her spare time she particularly enjoys watching the Great British Bakeoff and drinking large quantities of tea. She also enjoys enthusiastically dancing to Beyonce ‘anthems’ when possible. Having studied and trained in Edinburgh with some extremely nice psychiatrists, Ben moved down to London to train as a child psychiatrist. He is presently dazzled by the bright lights but is learning to not make eye contact on public transport and forget about the world beyond the M25. With a love of extreme sports (scrabble , netball etc), Extreme Psychiatry was the natural haven for his broad interest in undergrad teaching. 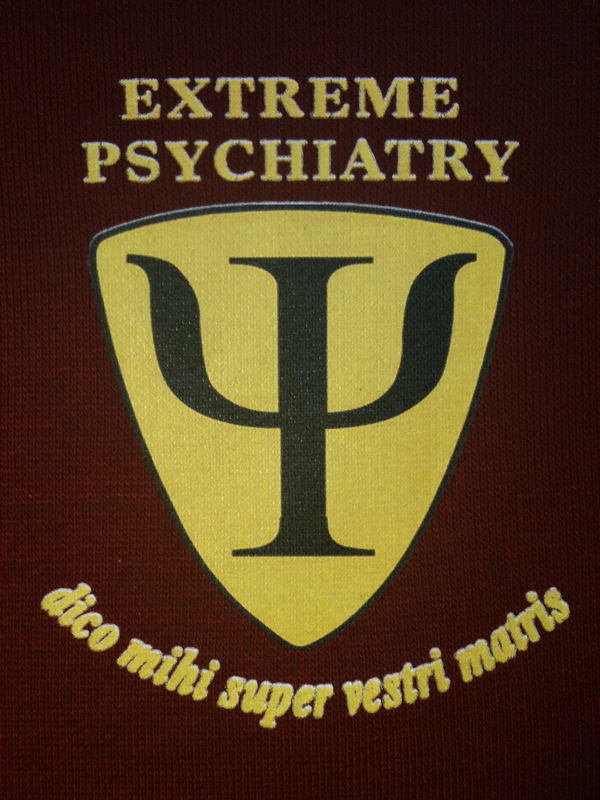 Ben thoroughly enjoyed his time with extreme psychiatry and will hopefully continue to make the odd guest appearance. Anna trained in Aberdeen, starting her SHO career in psychiatry in Elgin, a city renowned for its sheep and 24 hour Tesco. She then gave up any pretence of being a hardy Northerner, and moved to the Maudsley, lured by the promise of opera, late-opening bookshops, and not having to walk hunched over by the wind all the time. Since here, she has terrified many a consultant into convulsions merely by judicious use of her Glasgwegian accent, but don’t worry, she’s really not that scary. She loves teaching and simply cannot understand why everyone doesn’t want to be a psychiatrist. She left Extreme Psych in 2012 to become an Extreme Consultant. When not healing the sick, she speaks Spanish to strangers on the bus, and thinks about what she would cook if she was on Come Dine With Me. She was born, raised and trained in South London. After venturing to The Midlands for Foundation Training she has returned to South London for psychiatry training. If she wasn’t a psychiatrist she would love to be a scuba diving instructor. Favourite things include skiing, scuba diving and krispy kremes. So much so that she had a doughnut tower instead of a wedding cake. Joy was raised in the leafy village of Waterloo, central London. She branched out, crossing the river to attend University College London medical school. From there she was bitten by the psychiatry bug: after gaining a CT1 psychiatry post in South London and the Maudsley she want on to spread her love of both psychiatry and teaching and join the extreme psych gang in September 2013. Joy’s interests include dance and she is especially passionate about contemporary and jazz dance styles. Her other passions include eating but not cooking and, if not a psychiatrist, her second dream job would be a judge/food taster on Master Chef! Joy also enjoys travelling, shopping and reading. 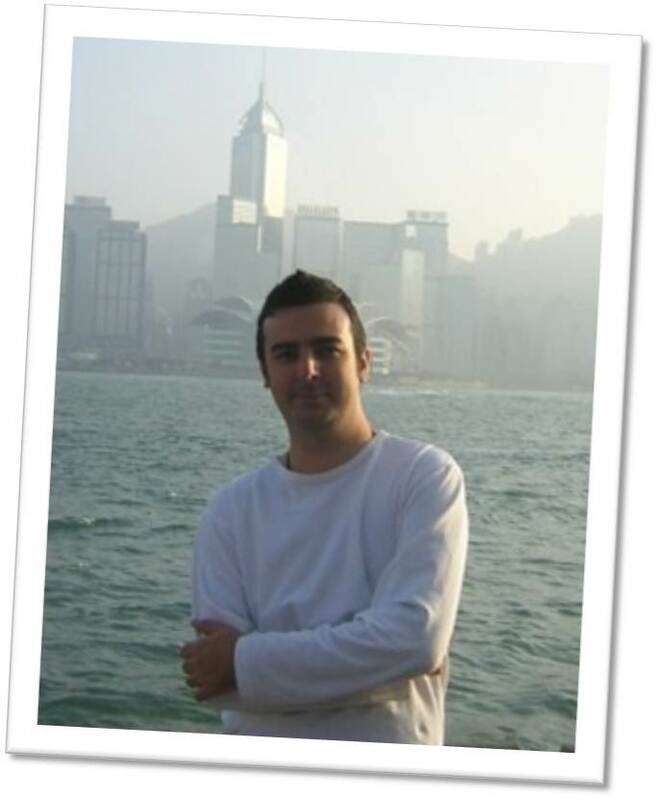 Having originally trained in London, Matt spent two years in Devon learning how not to be a psychiatrist. 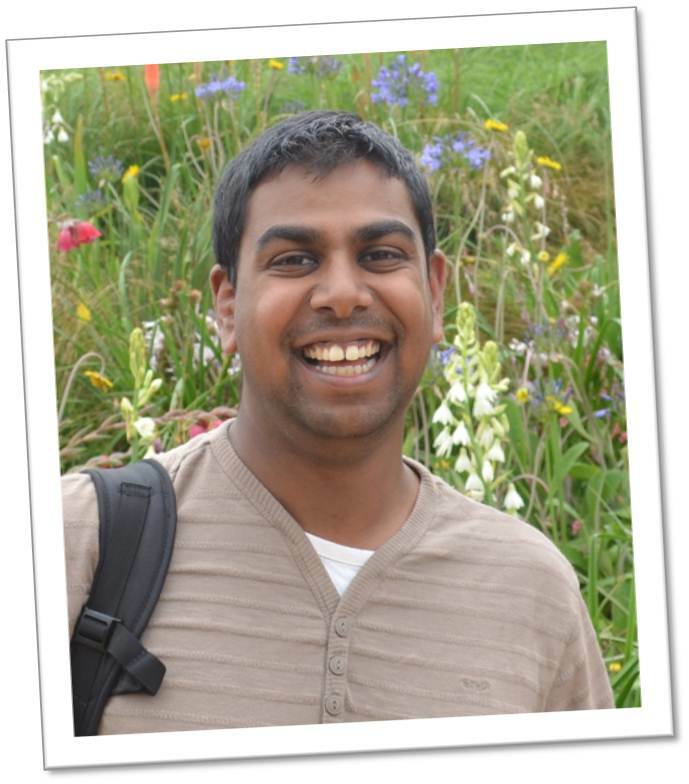 Returning to ‘the big smoke’ to train in psychiatry, he is now specialising in child and adolescent mental health. When not talking to patients, Matt can sometimes be found talking to birds. This is completely true, and in no way suggests that he believes that animals are able to talk back to him. Notoriously computer-illiterate, Matt once confused a floppy disk drive with a toaster. Beyond the classroom, Matt follows a long tradition of doctors interested in music. His other natural habitat is the concert hall where he can often be found singing in a myriad of different languages. None of which he even remotely understands. Megan is a London girl through and through and despite being very brave and venturing north of the river for university, she soon returned back to her true home- south east of the river for her training in psychiatry. Before starting medicine, she was torn between becoming an actress or a doctor… she found that Extreme Psychiatry was the perfect way to amalgamate the two of these things together (even if she is no longer the one doing the acting… )! 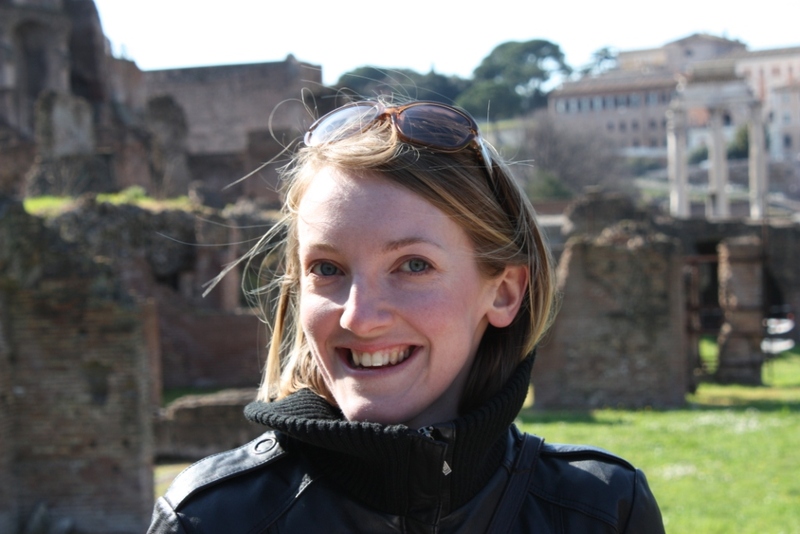 Outside of psychiatry and teaching, she has a passion for flower arranging (although not at her own wedding), theatre, travelling and LOVES primates especially orangutans!! Hugh dabbled in street art, professional pet-washing (poodle-perming a speciality) and moustache modeling before settling on a career in medicine. After undergraduate days in Bristol (leaving him with an aversion to cider and the word ‘gert’) and an intercalated degree at King’s (Ethics & Law – nothing funny about that) he came to London to work at SLaM. After the disappointment of finding out it wasn’t a performance poetry night he took to his Psychiatry career with enthusiasm. Having just gained his MRCPsych, he is taking a year out of medicine to study drama. 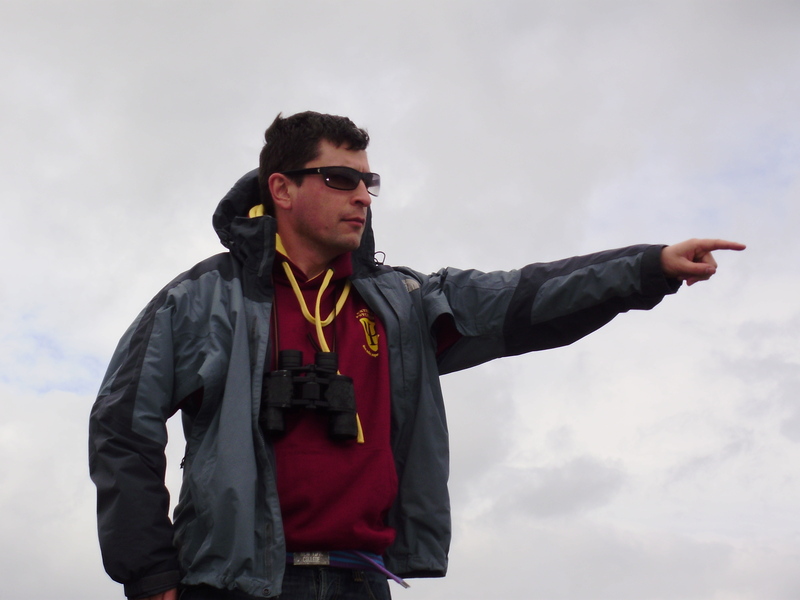 He is passionate about teaching, feels it is deeply important and finds it rewarding; in fact his love of teaching is nearly equal to his love of writing about himself in the third person and just surpasses his love of boat trips and brightly coloured jumpers. Constantly informed he was born in a barn but with the hospital records to prove otherwise, he had a peaceful upbringing in middle England. After promising modeling and sporting careers were brought to an early end by reality Nick embarked on a meandering passage through Leeds, Oxford and London before entering medical training in Liverpool. He returned to London with a better half and an ever increasing need for terry towels and chewable text books. He served time at St George’s before continuing his psychiatric exposure in Wellington, New Zealand whilst another Destroyer of Things was being brewed. 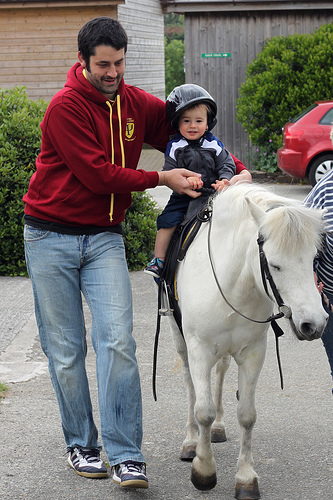 He returned to Blighty in 2008 for formal training under Springfield and SLAM. Having served Extreme Psych loyally for three years, he has flown the coop and is now a consultant in a place called North London: taking the Manly to the masses. Muj started his career as a doctor by the sea in Bournemouth. 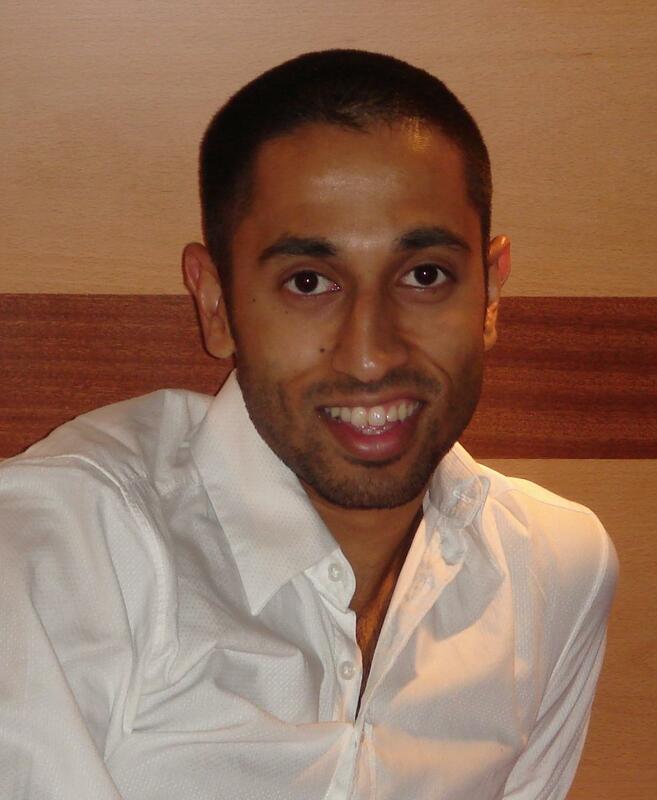 He moved to London to become a psychiatrist and has recently returned from a stint at the GMC to complete his training. He also currently chairs the Psychiatric Trainees’ Committee of the Royal College of Psychiatrists. On his days off, Muj listens to unusual music and enjoys spending time in the various modern art galleries of the capital. He wears stripy t-shirts but avoids yellow jumpers. He has caused the following neologisms to come into being: Mujtastic, Mujmeister, Mujtime, Mujing it. We thank him for enriching our lives, and remember him most for his philosophy of always wanting to help, in some small way, to make things better for doctors, students and patients. Voted most likely to ‘start a revolution’ at medical school……. so of course she became an Extreme Psychiatrist! Having spent the last two years sunbathing on Kent beaches with occasional jaunts into hospital she is now living the psychiatry trainee dream in South London. Stania enjoys eating food and therefore cooking. Her favourite ingredients are flour, sugar, butter and eggs… you can only imagine the endless hours of pleasure this leads to! Born with ‘dancing feet’ she is known to boogie to pretty much anything but has a special place in her heart for Salsa music. Nuala hails from the Wild West of Ireland. She has lived in London since 2014, but still sometimes mistakes tall buildings in the distance for rolling hills, when seen from the corner of her eye (name the illusion?). She has always loved psychiatry although made a foray into the world of philosophy for a year, where she learned a lot about the difference between the mind and the brain, the moral emotions of monkeys, and the true meaning of the terms ‘necessary’ and ‘sufficient’. In her spare time, she enjoys exploring London, hiking and eating. Adam was a Thespian growing up where many actors would love to be – lovely California. For some reason he gave up this beautiful life style to travel the World. Instead of his previous ambitions of theatre or bus driver, Adam decided to practice medicine in Oxford before becoming a psychiatrist at the Maudsley Hospital in South London. Adam enjoys having time in psychiatry to be able to learn about peoples’ interesting lives and watch them on their journey through life, but he still reminisces of the times of old: he found some comfort attending Extreme Psychiatry where he was once again surrounded by actors. 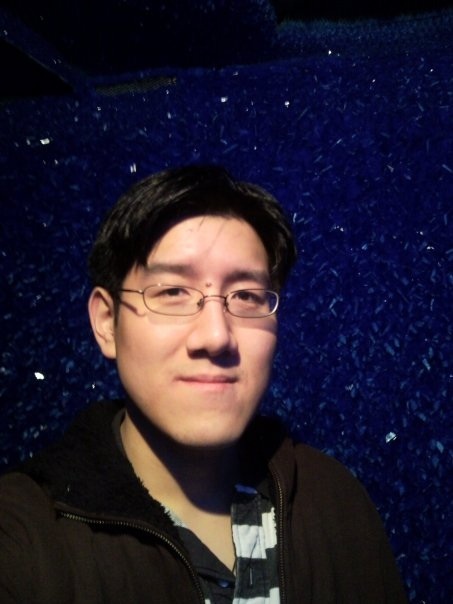 Adam also enjoys Starcraft, speaking with Math Majors and Paraglyding. As a graduate of King’s, Sam went on to do his house jobs there and subsequent psychiatry training in the Maudsley. He has never quite managed to stray too far away from Denmark Hill, despite complaining constantly about this. Once every 3 years, the fates get sick of his grumbling and conspire to send him somewhere else, just to teach him a lesson. He did manage an intercalated Psychology BSc at UCL and 3 years later, 12months working in Gillingham. Well that was 3 years ago, and having spent time as an ST4 in Old Age Psychiatry in Brighton, he has now jetted off to Australia. We expect he’ll soon be back, claiming that he wants to be somewhere else. One constant is his passion for psychiatry, which he shared on the Ex Psych course 2010-2011. Most of his spare time is spent planning how to escape from wherever he happens to be working at the time. He passes the rest of it throwing pots and watching Law & Order. After 24 happy years in Scotland, David finally tore himself away from the heather speckled hills and moved to London. 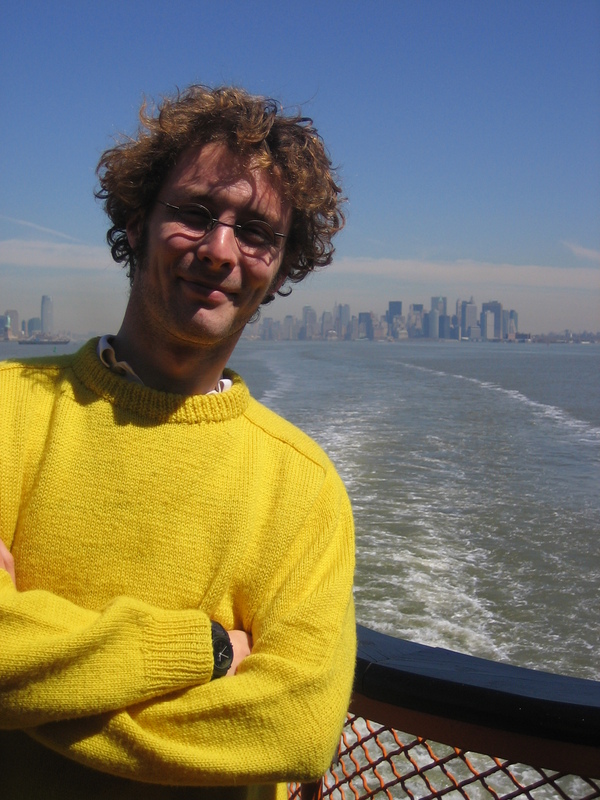 With a BMSc in Neuroscience in one hand and a medical degree in the other, David began his first job at Chelsea Westminster Hospital, cementing a passion for both psychiatry and teaching. Although technically working as a professional expert in mental health, David is rumoured to spend much of his spare time pretending to play Rachmaninov on “Air Piano” and helping his better half make independant films. 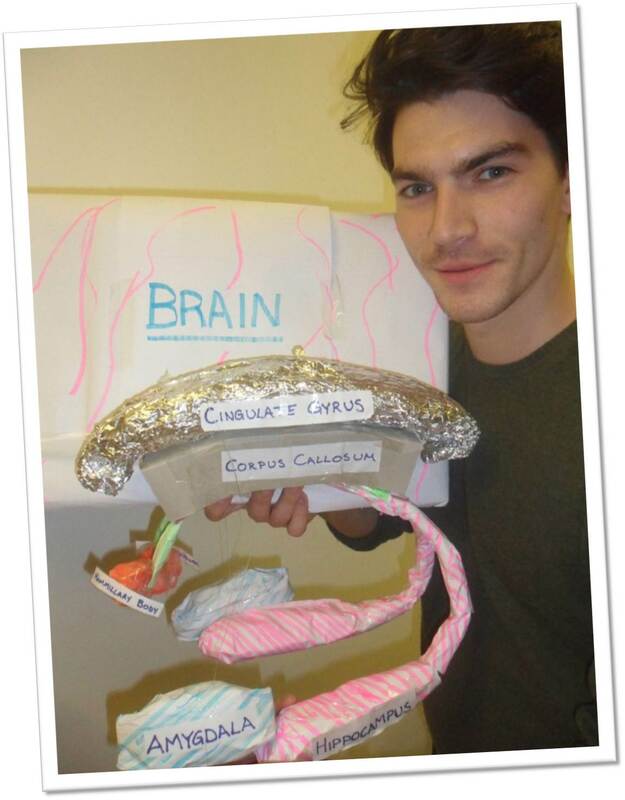 David also works hard on consolidating a physiological dependence to caffeine and wishing there were more hours in the day …though he once found time to make a paper mache model of the limbic system (see illustration – we think it was rather special). Born and brought up in the wilds of west London, Isabel studied medicine in Manchester, where she developed a fondness for good music and Northerners. After seven years away, which included an overly long period as an Accident & Emergency doctor (what was she thinking? ), the lure of the capital became too strong and she returned to London to become a psychiatrist. Settling in the relatively bucolic surrounds of south-east London, Isabel started on the Maudsley training scheme, where she is currently an ST6. She spends her free time attending weddings (or at least it feels that way) and eating at expensive restaurants. Ian has the honour of being amongst the very first small and select group of medical students taken under Strings’ wing when she stumbled across them, a little ‘lost’, during their psychiatry rotation in Lewisham. This was back in 2004, when the group had lunchtime and evening teaching sessions on psychiatry and communication skills: it was out of these meetings that the phenomenon which became Extreme Psychiatry was first born. Fast forward two years and the cycle was completed when Ian returned in 2006, now a junior doctor in Lewisham, to teach on the fast evolving weekly sessions. He is currently a Specialist Registrar in Ophthalmology on the South London/KSS rotation, and still uses the communication and teaching skills he learnt at Extreme Psychiatry at every available opportunity. I’ve asked him to update this website, so he should notice this section and rewrite it really soon. Michael was once an Extreme Psychiatry student, then became a Peer Facilitator, and finally an Extreme Psychiatrist – he sometimes demonstrates this through interpretive dance, whilst cradling a lion cub in his arms and singing The Circle of Life from atop a rock. It is beautiful to behold. He was the behind-the-scenes genius who ran Extreme Psychiatry between 2014 and 2016. We really don’t know what we’ll do without him… Except grieve. After spending her formative years on the south coast, Lucy made the bold move “up north” to South London in order to start her psychiatry training at the Maudsley. She spent a year acclimatising at King’s College where she completed a Master’s in Medicine in Literature, a pastime which allowed her to split her time between her two favourite places; the library and her sofa. Having begun her training she particularly enjoyed the Bethlem Royal Hospital, the grounds of which are also home to the oldest badger set in England (apparently). When not at work, Lucy spends most of her spare time talking about the Moomins, singing, and wishing she was at the seaside. She thinks that psychiatry is the bee’s knees, and can’t wait to spend every Tuesday evening enthusing about its fabulousness. Camilo cut his canines as an SHO in Oxford. He spent 6 months in Broadmoor and did so well they sent him back to Oxford for another 6 months of psychotherapy. Though no longer on the team, he remains an avid supporter of Extreme Psychiatry, and continues to live the Extreme Dream through his work as a community consultant psychiatrist. Little known fact: Camilo runs a cacti and succulents farm in Shropshire.